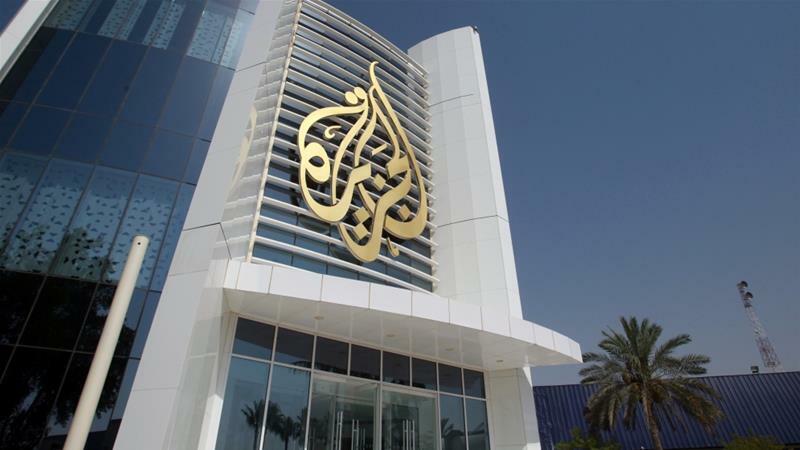 Dhaka, 13 June, Abnews: Arab Gulf states accused Qatar of supporting armed groups and their regional rivals, and on June 4 imposed heavy sanctions, including closing land and sea borders, canceling flights to and from Qatar, and withdrawing their ambassadors from Doha. But Pentagon spokesman Jeff Davis on June 6 praised Qatar for its “enduring commitment to regional security” and for hosting US forces. The largest US air base in the Middle East is in Qatar, and 10,000 military personnel are stationed there. While the Pentagon insists that the blockade has no effect on the US fight against Daesh, Secretary of State Rex Tillerson said it is hindering US military action in the region and the campaign against Daesh. He urged Saudi Arabia and other Gulf countries to ease the blockade, saying it has caused unintended consequences. About an hour after Tillerson’s press conference, Trump clarified the US approach by saying: “The nation of Qatar, unfortunately, has historically been a funder of terrorism and at a very high level.” Now that the president has reconfirmed his position, neither the State Department nor the Pentagon are expected to deviate from it. Saudi Arabia, the UAE and Bahrain point out that this is not the first time their policies diverge from that of Qatar. In March 2014, when Qatar supported then-Egyptian President Muhammad Mursi and his Muslim Brotherhood movement, these three countries withdrew their ambassadors from Doha. They resumed their posts eight months later when some Brotherhood members were forced by Qatar to leave the country and some others were quieted. It remains to be seen how long it will take this time, since Qatar is blockaded by sea and land and is being asked to fulfil more conditions. Ankara cooperated with Doha in Syria by supporting similar opposition factions, though not always the same ones. In addition, unlike Qatar, Turkey does not support Hezbollah, and when a Hamas office operating in Istanbul had to quit Turkey as part of the latter’s reconciliation with Israel, the Turkish press reported that the office moved to Qatar. Turkey has close economic ties with Qatar, and the latter’s investments in the former amount to about $18 billion. Turkish President Recep Tayyip Erdogan took the initiative to defuse inter-Gulf tensions. He had telephone conversations with many leaders, including those of Qatar, Russia, Kuwait, Saudi Arabia and France. On June 7, Turkey’s Parliament fast-tracked a bill to deploy 500 troops to Qatar, in addition to 150 who have been there since 2015. Turkey is constructing a base in Qatar that will accommodate 10,000 troops when completed. A second fast-tracked bill provides for Turkish training of the Qatari gendarmerie. Turkish opposition parties criticized these moves, saying they send a wrong message to the international community and should be postponed until the situation stabilizes. Turkey maintains good relations with most Gulf countries, but this crisis has to be regarded as an intra-Arab affair. Non-Gulf countries, more specifically non-Arab countries, should not interfere in it. Though Erdogan takes many of his initiatives in his capacity as the sessional chairman of the Organization of Islamic Cooperation (OIC), his interlocutors will be listening to him as Turkey’s president. So Ankara should take the utmost care not to take sides in this sensitive controversy. Arab countries, with their customary prudence and wisdom, will find ways to sort out the problem sooner or later. When they do they will be reconciled, but the bias of non-Arab countries will not be forgotten.